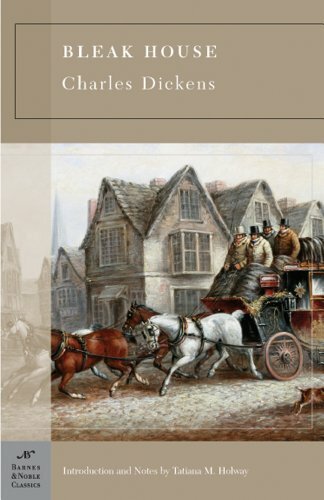 Often considered Charles Dickens's masterpiece, Bleak House blends together several literary genres -- detective fiction, romance, melodrama, and satire -- to create an unforgettable portrait of the decay and corruption at the heart of English law and society in the Victorian era. A charming addition to Dickens' series of five Christmas books, of which this is the fourth. In this short novel fans of Dickens will find an entertaining and cheerfully uplifting love story, perfect reading for the holiday season. Nicholas Nickleby must set out to make his way in the world. Along the way various older, money-grubbing villains attempt to injure him. Eventually, with the assistance of kind patrons, he and his family achieve economic security and a happy home. The book takes its reader on a fascinating journey, from Ancient England and the Romans to Victoria's reign and Dickens' own lifetime. Full of sensational plots, high adventure and terrible tragedy, it will appeal to anyone who enjoys a good story.